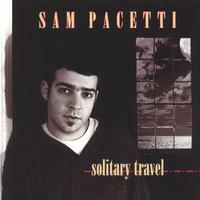 Pacetti’s playing stands out for its spiritual depth and emotional intensity. Roy Book Binder calls him “The future of American fingerstyle guitar.” Original instrumentals on this entirely solo debut CD include “Brian’s Rapíer,” “Ascension,” “Triplesec,” and “Doorbell”; he interprets the Irish jig “Merrily Kissed the Quaker’s Wife,” and Don Ross’ “The First Ride”; and sings 4 fine original songs. “The Lion and the Child” is a very, very tough song about father & son struggles; “Still Alive” a fiery modern spiritual.